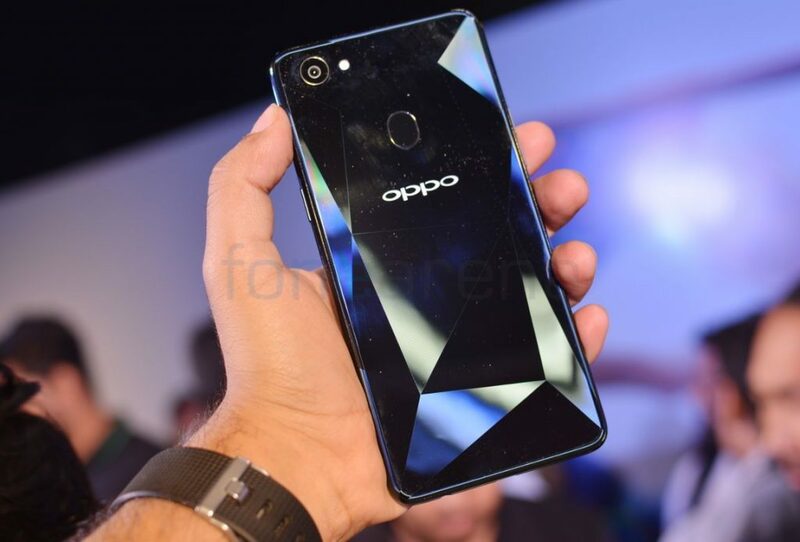 OPPO just launched the F7, the company’s latest selfie-focused smartphone in India. 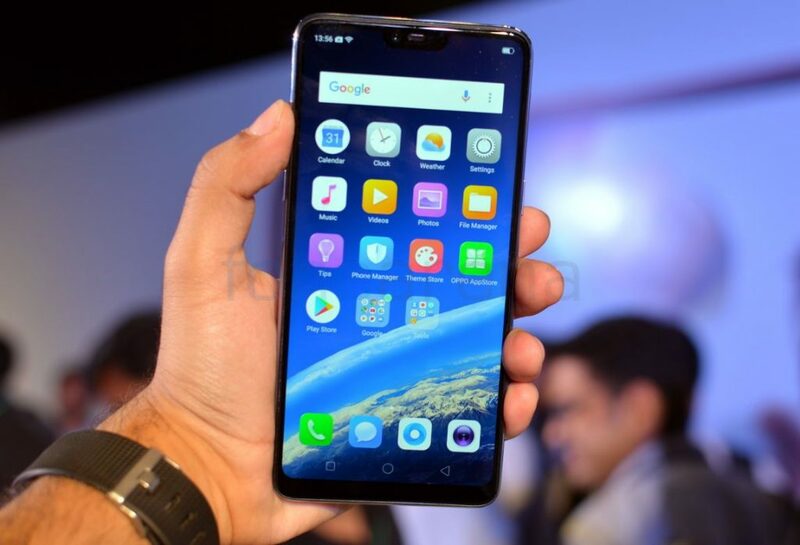 It sports a 6.23-inch Full HD+19:9 aspect ratio display with a notch and 88% screen-to-body ratio. 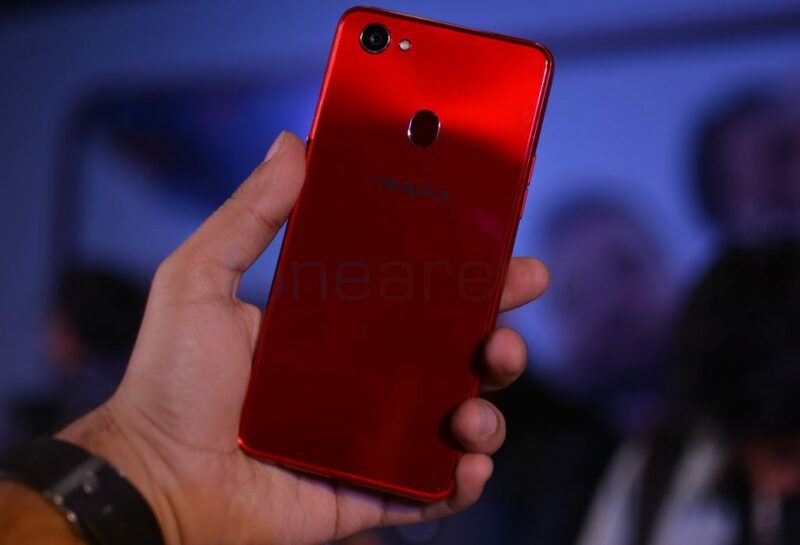 Since it a selfie-centric phone, the OPPO F7 comes with a 25-megapixel front camera. We have got our hands on the phone so let’s take a detailed look at hardware and specifications of the phone. 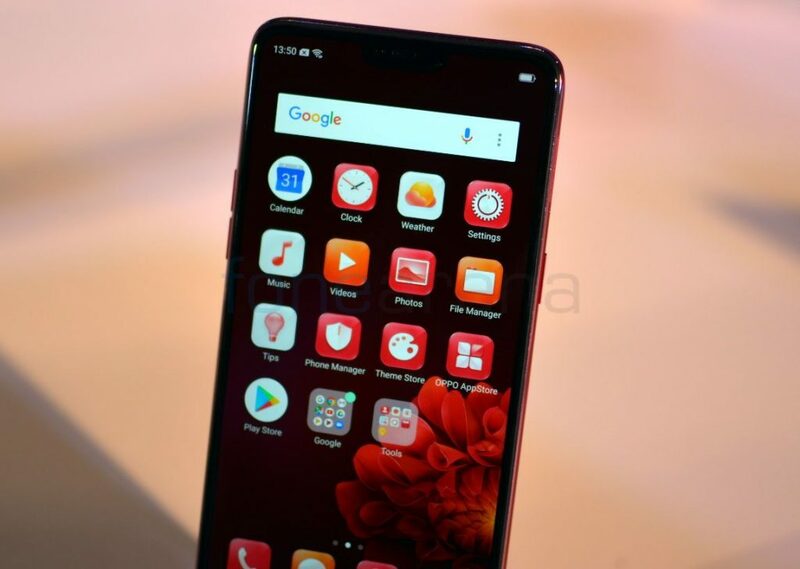 The OPPO F7 sports a 6.23-inch Full HD+19:9 aspect ratio display with a notch. It comes with glass body design that looks very premium and elegant. 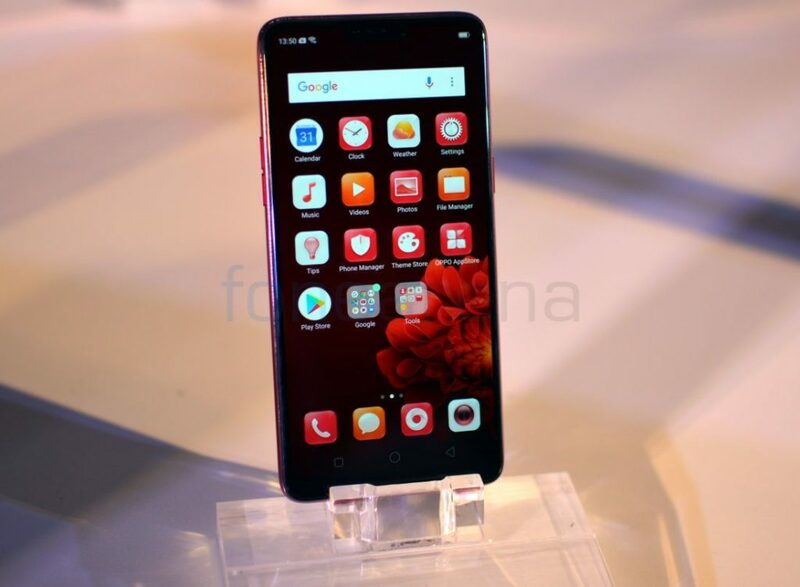 The phone is powered by the MediaTek Helio P60 12nm SoC with 4GB RAM and 64GB storage. There is also a special model with 6GB RAM and 128GB storage. 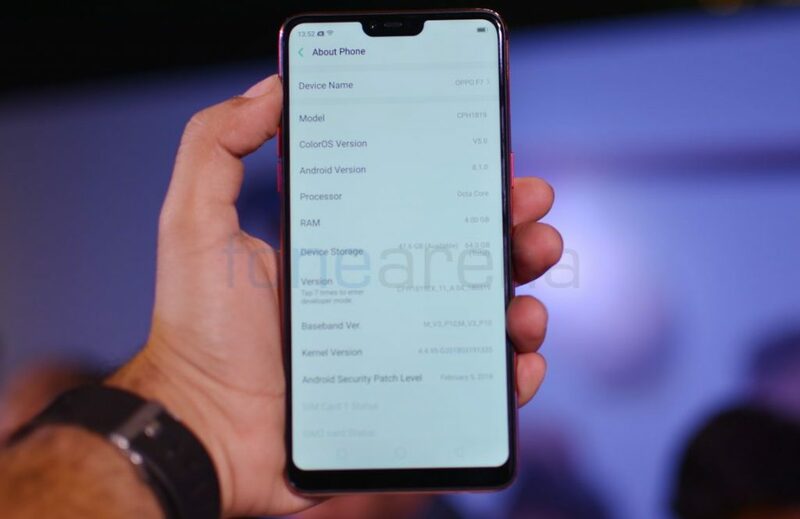 Like the iPhone X, the OPPO F7 packs a top notch on the front where the 25MP front camera is present right above the display along with earpiece, microphone and the usual set of sensors. The phone comes with 88% screen-to-body ratio and a 19:9 aspect ratio. 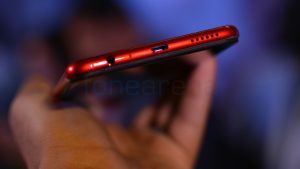 There are ultra slim bezels on all corners except for the top where the notch is present. The volume rockers are present on the left side. While the SIM card tray with dedicated dual SIM and microSD slots and power button are present on the right side. The secondary microphone for noise cancellation is present on the top. The 3.5mm audio headphone jack, main speaker grill, microUSB port, and a microphone are present on the bottom. The phone measures 156 x 75.3 x 7.8mm and weighs 158 grams. 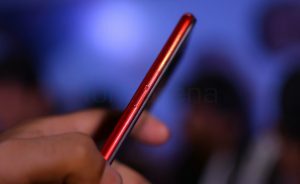 The rear of the OPPO F7 comes with a shiny glass finish, OPPO logo, and fingerprint sensor. Also present is the 16MP rear camera with LED flash, f/1.8 aperture. The Diamond Black model has a multi-layered metallic and glass back cover that replicates a diamond-like glow and light refractions, with triangular-cut patterns that shimmer bright and dark shades when seen from different angles. It runs on new ColorOS 5.0 based on Android 8.1 (Oreo). There is a 3400mAh built-in battery. Connectivity options include Dual 4G VoLTE, WiFi 802.11 ac (2.4GHz + 5GHz), Bluetooth 4.2, and GPS. 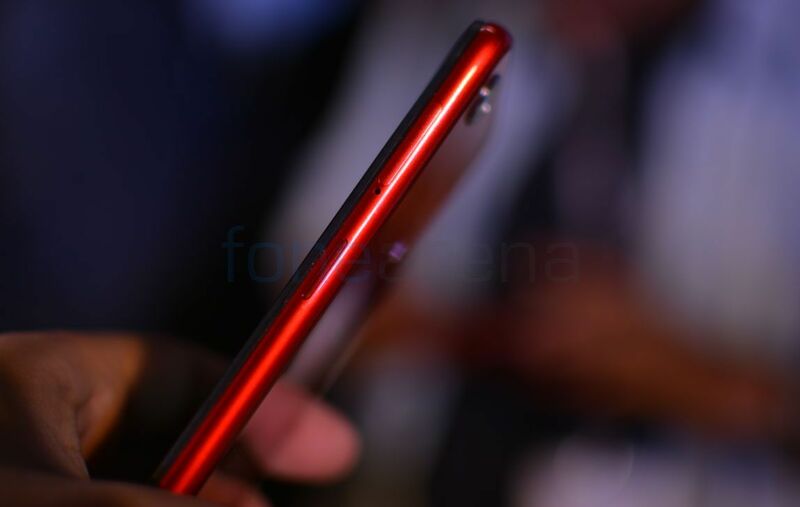 The OPPO F7 comes in Solar Red, Moonlight Silver colors and will be available through all online retailers such as Flipkart as well as offline stores starting April 9th priced at Rs. 21,990. The Special Diamond Black edition with 6GB RAM and 128GB storage is priced at Rs. 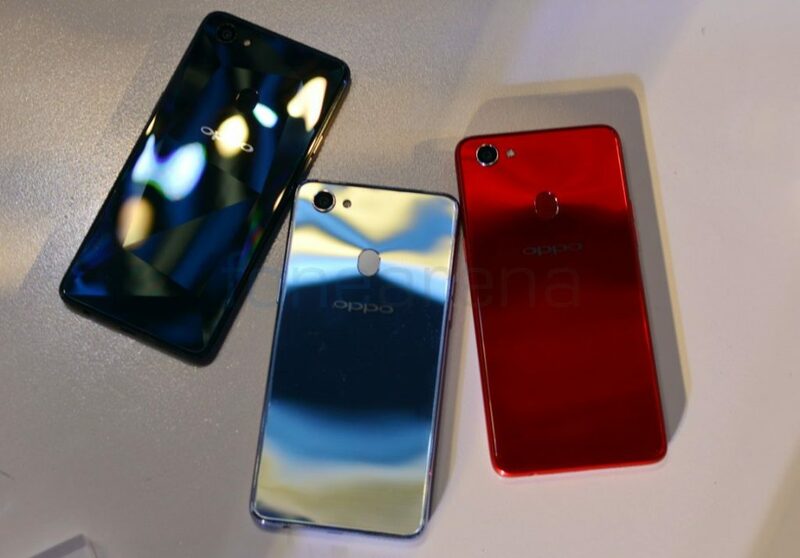 26,990 and will be exclusively available at selected OPPO stores.